On Monday I wrote about rain. Or rather how to fight the rainy day, wintry blues. As much as I love the summer with all its warm sunshine, there are certain things about the kitchen in autumn that just don’t work for me in 30 degree July heat. One of those things is soup! Hearty, homely, warming soup. Thick, inviting, steaming broths, concocted from bits and bobs and leftovers. Perhaps what is most satisfying about soup is its unpredictability. 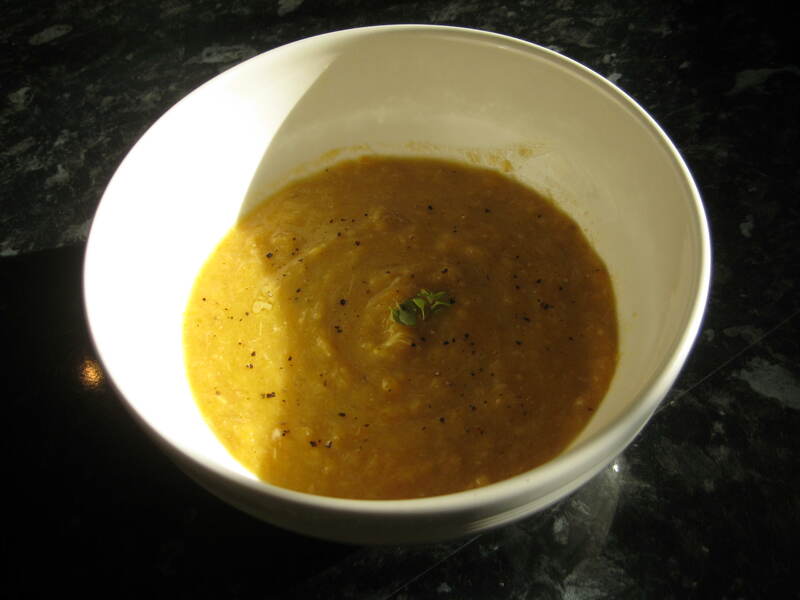 No soup is bad soup (apart from a baby weaning pea soup I once made which was just lumpy, tasteless, green water) but some soups turn out better than others. Well, today I whipped up a batch of what is lovingly known in my family as Christmas soup. So called because a few days after Christmas, my mum would strip the last of the meat from the Christmas turkey and throw it in the pressure cooker with vegetables. The resulting smell which greeted me as I came downstairs promised thick, orange, flavour filled soup. And this is perhaps why I still make most of my soups in the pressure cooker. That smell is unique. Nowadays I stick to a superfood, clean version of the soup which I can give to Isaac, offer to guests, shove in the freezer in batches or serve for a light dinner with hunks of home made walnut bread. It’s packed with protein and pressure cooking seals in nutrients. So here it is with my super greens twist. Soften the onions and seal the chicken in your pressure cooker or pan with a few tbsp of olive oil/butter/coconut oil. Add all the remaining ingredients and stir around a bit while you add the herbs etc. Half fill the pressure cooker with water, or just enough water to nearly cover the ingredients. Bring to pressure and cook for 30 minutes. If you’re cooking this in a pan it would take about 1h30mins on a simmer. When it’s finished, take the bay leaves out and discard bones/skin/bits from the chicken then add the meat to the soup and whizz it with a hand blender or in a blender.